Oh, hey there! Curious where I've been? No? Yes? Don't worry Mom, new music is on the way. 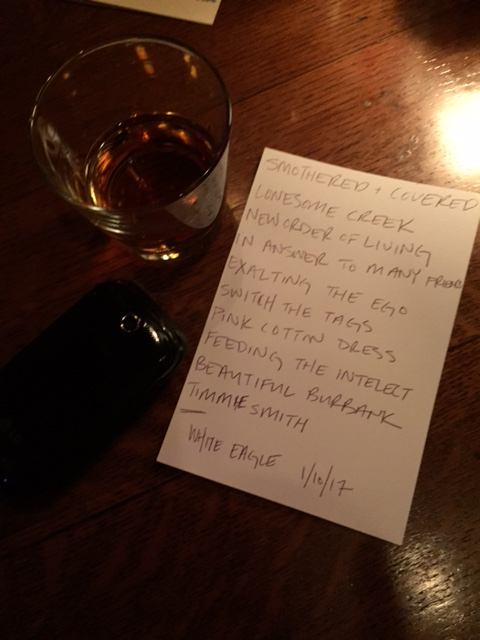 The set list above offers a sneak peak at some of the song titles you might just see on the next album. I'll leave the rest a mystery for now, but here's a fireside rendition of Smothered and Covered, a tune that's sure to make the cut. Please enjoy, and I'll see you out there.